Yesterday was a big day for Motorola. 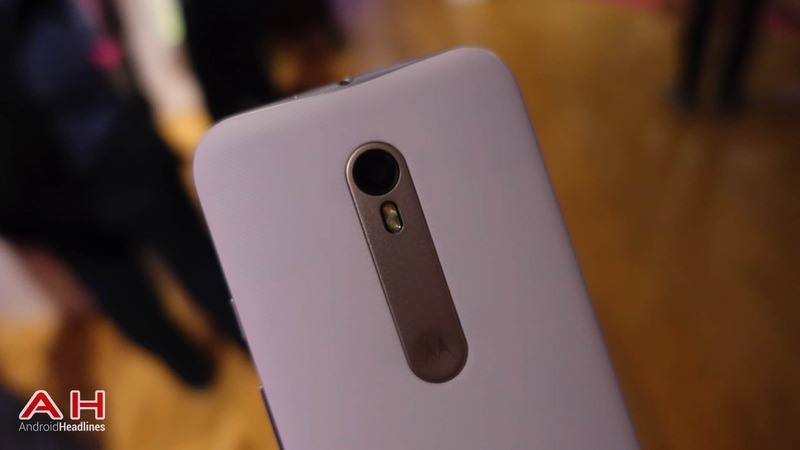 The company released not one, but two devices in the form of the 2015 edition of the Moto G and Moto X. In fact, the company not only released two devices but multiple variants of each. In the case of the Moto X, this was the Moto X Play, Moto X Style and Moto X Pure. In the case of the Moto G, there were variants of the same device which differed in their RAM and internal storage capacities. Well, as well as the Moto G being announcement yesterday, it also happened to go on sale from a number of places including Amazon. As such, those who want the latest Moto G in the quickest form can do so right now. However, if you were more interested in picking up the latest G device from a carrier, then Motorola also revealed some news about this too. In a tweet sent out by Motorola, the company confirmed that the Moto G will be available from both Virgin Mobile and U.S. Cellular. Unfortunately, the company did not reveal any firm details on when the availability will become active and instead the tweet simply stated they will become available on their networks over the coming months. Just as unfortunately, the tweet also does not reveal any details on how the Moto G will be priced on either Virgin Mobile or U.S. Cellular. If you need a quick recap on what’s on offer with the Moto G 2015, then the device comes sporting a 5-inch display with a 1280 x 720 resolution. Inside, the Moto G is available in either a 1GB RAM/8GB storage variant, or a 2GB RAM model that is said to be available in both 8 and 16GB storage sizes. All variants come running with a 64-bit Qualcomm Snapdragon 410 quad-core processor. In terms of cameras, on the back there is a 13-megapixel camera while on the front there is a 5-megapixel camera. The device is powered by a 2,470 mAh battery and comes running on Android 5.1.1 (Lollipop) out of the box. Not to mention, the 2015 Moto G also comes with 4G LTE support and the ability to customize via Moto Maker. The post Moto G (2015) Heading For Virgin Mobile & U.S. Cellular appeared first on AndroidHeadlines.com |.